Have you ever wanted to run into a telephone booth and come out as Superman? 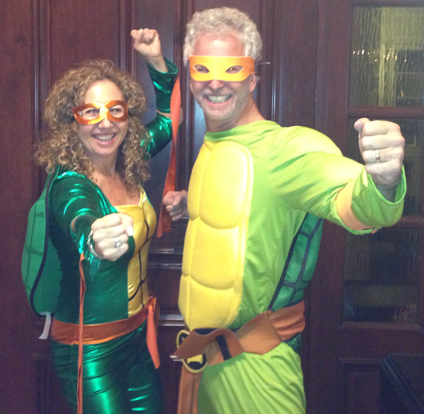 Well, Halloween is the holiday that gives you that power. This time of year reminds us that we are all kids at hear -- and that we all still love make believe. As soon as October hits, we all immediately start asking ourselves the same question: Who am I going to be for Halloween? While kids today may not have the slightest clue what a telephone booth actually is, they'll always know Superman. 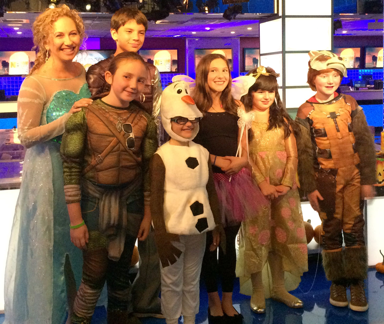 Every year, kids continue to dress up in classic costumes. In fact, I would bet that when you open your door for trick-or-treaters, nine out of 10 times you'll see a superhero or a princess. This year's top costumes will include favorite characters such Elsa and Anna from Disney's Frozen (But good luck finding those -- they're already sold out in most stores. ), Teenage Mutant Ninja Turtles, Doc McStuffins, Guardians of the Galaxy star Rocket Raccoon, Star War Rebels and the fangtastic teens from Monster High. Kids can also transform into their favorite Skylanders, such as the martial arts master Stink Bomb. 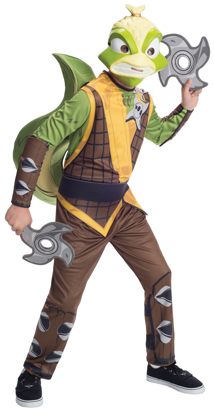 This costume features a top with an attached vest, arm guards and a printed ninja star so kids can look like the ninja skunk from the popular franchise. It also includes a mask, pants and a belt with an attached Stink Bomb tail to complete the look. Skylanders accessories and costumes range from $9.99-$29.99. You'll also see tons of ghosts, goblins, witches and zombies around your neighborhood, and many of these costumes can be creatively homemade. When it comes to DIY (or do-it-yourself) costume creation, remember that great Halloween makeup can do wonders. 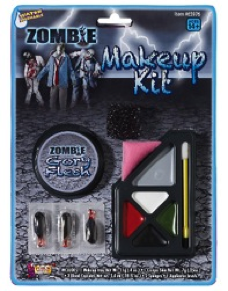 The Deluxe Zombie Makeup Kit, from Forum Novelties, is perfect to transform yourself (or your whole family) into a terrifying, brain-eating zombie. It's easy to put on, easy to remove, and includes gory flesh, blood capsules, and all the makeup you need to become the walking dead -- for an affordable $3.99. This item is designed for ghouls over the age of 14, so parents may need to help out younger zombies. I used a cardboard box with a hole in the middle for my head (the centerpiece, which I then put flowers in) and a plastic tablecloth that I glued nice plastic plates, glasswear, etc. to -- setting up service for four. The cardboard box was a bit bulky to wear for the whole night, so I had a waitress outfit on underneath for when it was time to ditch the box at the party. 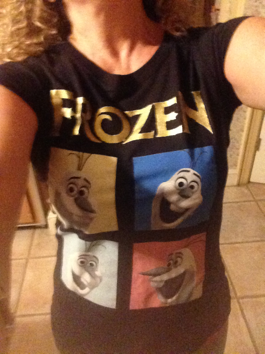 This costume definitely a standout costume when we walked in; however, sometimes just a simple T-shirt will do if you're not looking to go all out. 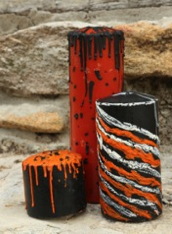 The DIY fun doesn't have to stop with your costumes -- there's plenty of great ways to decorate your home for the spookiest season as well. For example, did you know yellow is the new orange this year? 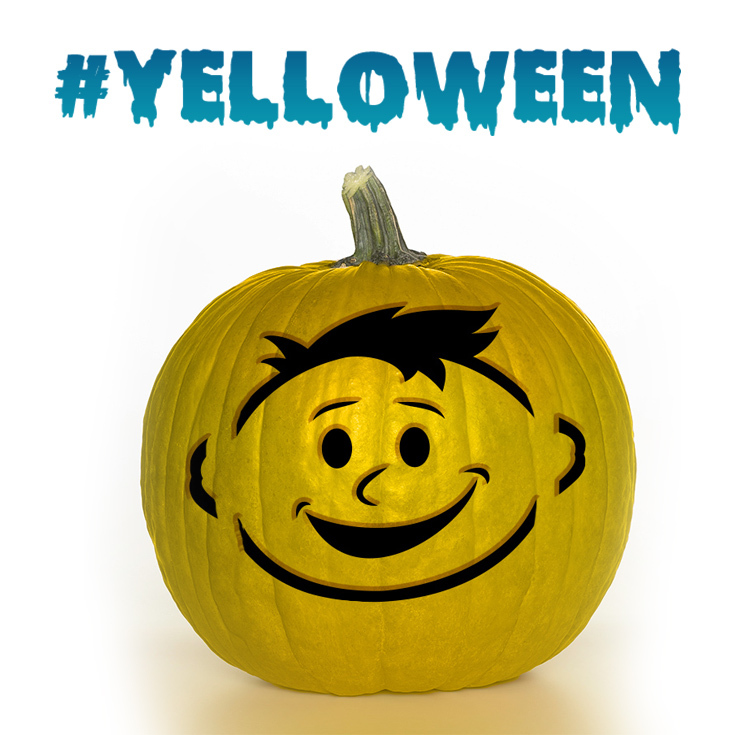 I'm talking about #Yelloween, it's the hottest new trend this year where people are painting their pumpkins Yellow thanks to Lemonhead. Crayola has a whole website filled with ideas, but two of my favorites are the spooky drip candles and the Model Magic creepy eyeball wreath. You can click here to get instructions on a variety of craft ideas that combine household items with Crayola products. And if you're heading out for some trick-or-treating fun, there are a few things to consider taking along with you on your candy hunt! The littlest trick-or-treaters won't get tired feet scooting their way from house to house with the Razor Jr. Zombie and Monster Kix scooters. These new preschool scooters have ever-popular monster and zombie themes, featuring creep-tastic hands so kids can role play. 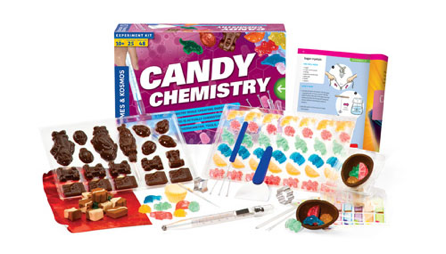 These are great for kids ages 3 and up and are have a suggested retail price of $44.99. Whether you're dressed up in a store-bought costume or homemade creations, going out trick-or-treating or throwing your own party, there are plenty of ways to make your Halloween spook-tacular this year. So jump into that phonebooth, transform into anything you want to be, and make this Halloween one that the whole family remembers!